Ketosis is a state that encourages the use of ketones to help fuel the brain and body instead of glucose. Once the body has eliminated its carbs, it begins to enter the full ketosis state, where fat becomes the main source of energy. This process enables blood sugars to significantly reduce and energy levels to maintain consistency. Excess fat is effectively shed without the feeling of hunger and people who find success feel happier because of the increased feel-good effect of HDL cholesterol, along with extra pro-activeness, and numerous other benefits. Ideally locally grown, organic or wild. In-season preferred. All bright colored berries are the best choice. Go strictly organic with fruit that has soft edible skins. Only moderate intake of dried fruit, or those with higher glycemic or lower antioxidant values. Always wash thoroughly. Only if freshly squeezed and in moderation. Recommended with organic produce. Avoid wheat, rice, corn, oats, cereals, breads, pasta, muffins, roles, waterfalls, pancakes, brussels, baguettes, crackers, doughnuts, swirls, Danish’s, tortillas, pizza, other grains: barley, millet, rye, quinoa, amaranth and other baked or processed high-carbohydrate foods. Even avoid whole grains due to higher levels of objectionable gluten. Everyone is allergic to grains at some level. High in antioxidants. Anti-inflammatory, immune-supporting, and flavor-enhancing. Avoid high-carbohydrate (sugar or flour-based) heavily processed treats: biscuits, cakes, pies, brownies, sweets, ice cream, doughnuts, ice lollies and other frozen deserts. Limit or avoid alfalfa, beans, peanuts, peas, lentils and soybeans due to high insulin response and lectin content. Organic, free range, grass fed/grass finished, hormone free designation is critical. If you must eat conventional industrially produced meat, choose the leanest possible cuts and trim excess fat to minimize toxin exposure. High in omega-3 and a nutritious, filling snack. Refrigerate unused butters quickly. They should be ideally cold processed and organic, if available. Please note that peanut is a legume and not a nut and should therefore be avoided. If it comes in a box or in a wrapper, you probably want to avoid it. At the very least take a careful and skeptical look at the ingredients. If it contains ingredients that you don’t recognize, don’t even consider it. High-fat and/or high-protein, low carbohydrate foods. Avoid sugar-heavy sweets and commercially produced energy bars, granola bars, pretzels, crisps, puffed snacks and all other grain-based snacks. Enjoy yams and sweet potatoes (instead of potatoes) but eat in moderation – unless you are an athlete who needs extra carbohydrates. These are all addictive but the less you consume of them, the less you’ll want. You want to leave behind the high-low insulin stress response cycle to regulate your energy and improve your health. Multivitamins, multiminerals, protein powder, antioxidants, Antarctican raw and wild krill oil, probiotics and prebiotics. Choose premium quality supplements to supplement a healthy diet. Avoid the low-cost, low quality supermarket variety of supplements with excess fillers, binders, lubricants, extruding agents and other synthetic chemicals. An essential part of your diet. Ideally locally grown, organic, in-season preferred. Always go strictly organic for large surface area leafy greens and soft edible skins such as peppers. Avoid GMO. Wash thoroughly. Avoid other than a glass of dry red wine with your meal. Water, at least 1.5l a day, or unsweetened tea. Should be sourced from grass-fed cows. Do not use to boost energy but can be enjoyed in moderation even with goats cream and my natural sweetener. Dark chocolate with high cocoa content and low sugar content is all right as an occasional indulgence. Avoid cow sourced milk and cheese and instead enjoy goat sourced cream, yoghurt and cheese. Raw unpasteurized is preferable. Always use organic free range eggs for well-balanced nutrition include yolks. Industrially produced eggs from chickens fed on grain, hormones, pesticides and antibiotics should be avoided. A three or four egg vegetable omelette, or scrambled eggs with vegetables on the side, are a great way to start the day. Avoid chemically treated, deep-fried, insulin-stimulating food that has very little nutritional value i.e. french fries, onion rings, burgers, hotdogs, and all the rest. Avoid all trans-fats and partially or fully hydrogenated fats such as canola, cottonseed, corn, soybean, all other high polyunsaturated safflower, sunflower, oils, margarine, vegetable shortening and deep-fried foods. Instead, use cold pressed extra virgin olive oil. For cooking, use saturated fats such as butter sourced from grass fed cows, first press extra-virgin coconut oil, goats butter, and animal fats, chicken, duck, goose, lard, tallow. Wild caught from remote, pollution free waters. Small oily. Cold water fish are best. Anchovies, herring, kippers, mackerel, salmon and sardines. O K, you gave me real good information however could skip the “it’s o k to eat this except for that stuff” and list just what is good to eat. I’m having prostate cancer stage 1 issues along with keeping my PSA scores down and avoiding all sugar natural and of course processed. Hi Bill, this article https://www.bensprostate.com/ketogenic-diet-help-prostate-disease/ gives you a clear idea of what is good to eat when on a keto diet, as well as foods to avoid. It includes a handy inforgraphic of the keto food pyramid which you may find useful. Wishing you good health. 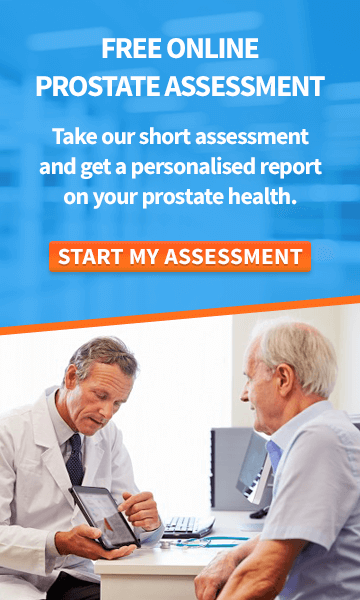 What is your recommended ketogenic diet for prostate cancer? Also, any recommended supplements? 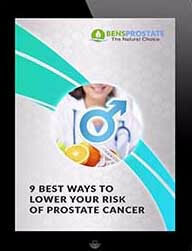 Hi Carla, you can learn more about the keto diet in relation to prostate cancer in this article here http://www.bensprostate.com/ketogenic-diet-weight-loss/. 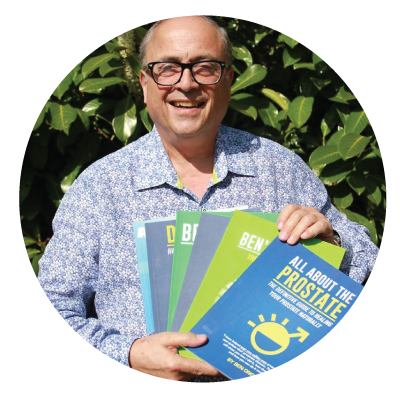 In terms of supplements, my Total Health for the prostate is very effective, helping to relieve urinary symptoms often associated with BPH, you can read more about it here https://www.bensnaturalhealth.co.uk/health-products/total-health-vegicaps.html#product_tabs_product_facts. I wish you good health, Ben. so I do not have that long to wait. May try the diet a little later. What ever works best. Of course. Different approaches work for different individuals. The best thing to do is to continue trying different things until you find what works for you.